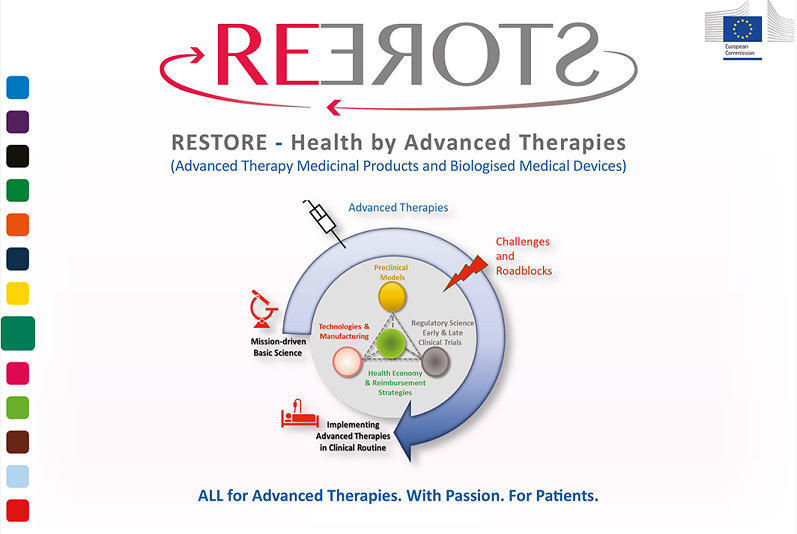 Large Scale Research Initiative RESTORE is a “place” where medicine, basic research, technology development and engineering meet, communicate and work together. 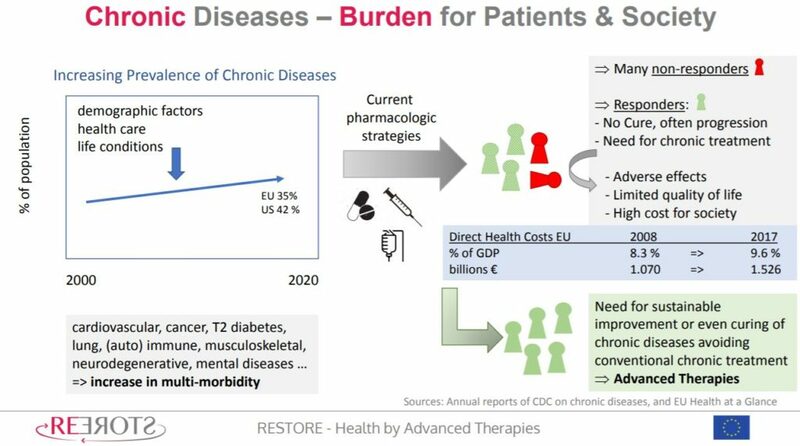 Advanced Therapies (Advanced Therapies Medicinal Products and Biologised Medical Devices – ATMP/bio-MD) are a potential game changer in health care: They aim to transform the current focus on “treatment of disease” into one that concentrates on “regeneration of health”. 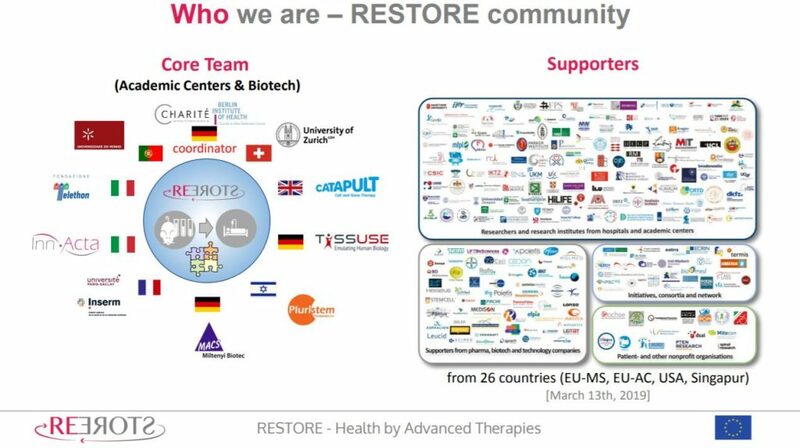 The unifying goal of RESTORE is the implementation of newly developed Advanced Therapies in clinical routine to improve patients´ outcome with high impact on Europe´s society and economy.